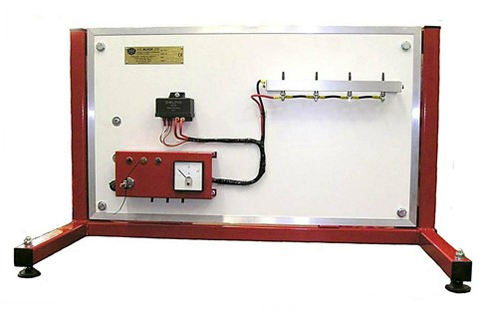 Fully operational Glow-Plug Trainer manufactured using original components. Based on a generic diesel pre-heat glow-plug system, complete with glow-plug relay, 4 x glow-plugs, dash panel, ignition switch and ammeter. Diesel Pre-Heat System with Trolley Stand. Glow-plugs covered with stainless steel mesh.